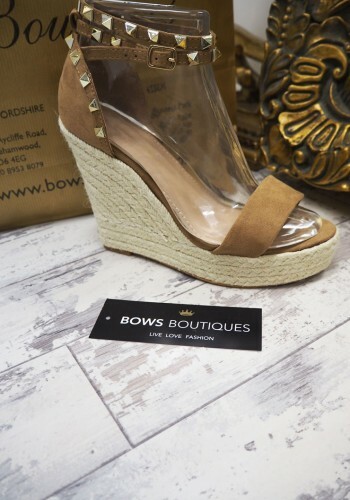 Put your best foot forward this spring with these gorgeous designer inspired suedette studded espadrille wedges! 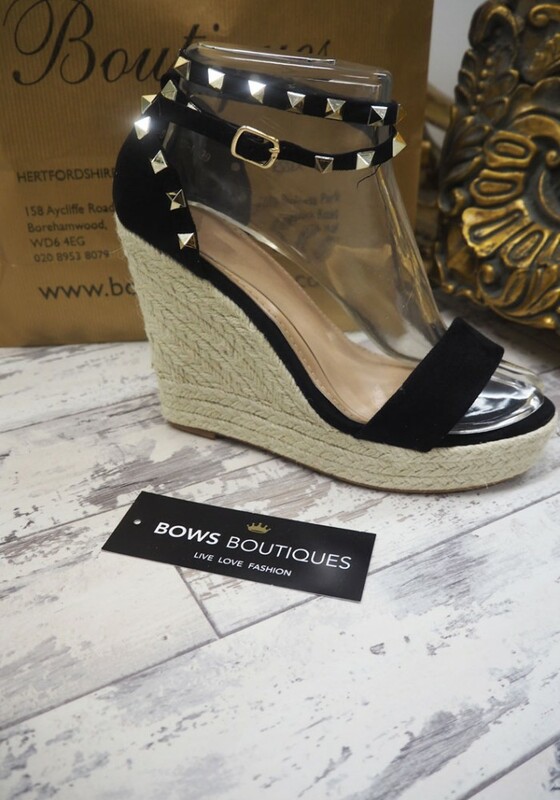 Perfect for completing your head to toe look! Choose from 3 stunning new season shades! !